The Grand Prix Drivers' Association - the so-called F1 drivers' union - is to convene at Interlagos this weekend as members admit concern at a number of aspects of the sport. Top of the agenda is tyres, and the increasing need for tyre management, along with the gap between the top three teams and the rest. The recent Mexican Grand Prix was widely cited as a confusing disappointment as from the outset drivers were forced to manage their tyres. While Pirelli has consistently gone along with the wishes of the sport's powers-that-be producing tyres that deliberately degrade, it is this 'manipulation' for the benefit of 'the show' that caused Michelin not to bid for the franchise when the Italian manufacturer's contract comes to an end next year. "I don't think anyone ever seems to be satisfied," Daniel Ricciardo told reporters at Interlagos today. "They wanted a tyre we can race harder on for longer, and I feel now we're nearly getting that. But I don't know how to have a tyre that we can push hard on but is going to degrade, so we can still do a two or three-stop. I feel we're just going to drive slower, like we're doing now." 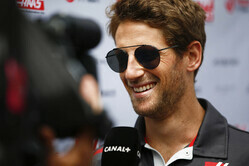 "It's not only tyres," said Romain Grosjean. "I feel, and I don't speak for everyone else, but I feel like we need to give our feedback and maybe try to do a bit more because the races aren't fun. "P6 in Mexico is two laps down," he added. "How do you hope to see a midfield car on the podium if they are one or two laps down? "The delta between the big teams and the small teams is too big," he insisted. "Plus the tyres being so complicated to understand, to drive, if you don't have the downforce you destroy them and you open the gap again." This weekend's meeting of the GPDA, according to the Frenchman, who is a director of the organisation, is to get the general opinion of the drivers, and should there be agreement on the various issues a more formal approach will be taken, with the drivers' views and recommendations presented to F1's powers-that-be as well as fans and the media. 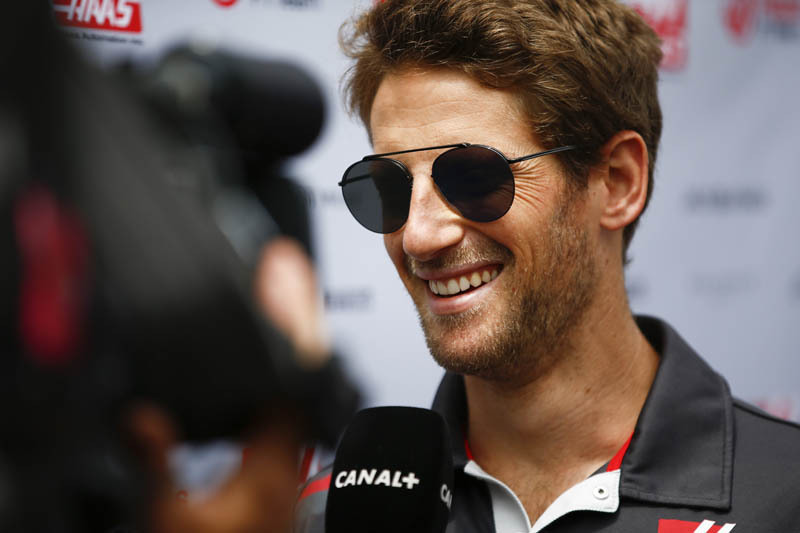 "If we get to somewhere where everyone is happy with what we have discussed, and we have got bullet points, then we should move them forward to you guys, to Liberty or whoever," said Grosjean. "It's a start at least," he continued. "It's important we don't sit back and don't do anything for the sport we love. But don't get me wrong, it's not all wrong. I am still very happy to come to a race weekend and race a car. It's just a bit frustrating to know it could be better. "If you take Hulkenberg or myself or Perez, the last time we won a race was in 2010 or 11, our junior category records are pretty good. If you're not entering the right team then you'll never have a chance which is a bit of shame." While many people talk about rule changes making the sport increasingly artificial; the fact is that this is motorsport, from 'bring any car' through to 'identical spec cars'. Therefore it is valid reasoning to consider rule changes, as the technology evolves. The key is to not have the top teams vetoing the majority consensus. Otherwise, this will ensure that they remain the top teams to the exclusion of all others. A good example being blue flags. They only help the top teams, while screwing the race for the rest of the field. If the race track was the battlefield, then all cars would have to make genuine overtaking moves. The result would be 'racing at all points on the track' ... so deal with it (and all the other complications that would arise). ... but we would definitely see more hard racing, and that would improve the spectacle. Another beneficial change would be, if 3 tyres are specced for the race, each tyre must be raced upon. This would increase 'strategy complexity' creating more opportunity for varying errors and gains. But rule changes such as these, wouldn't change the fact that, those with the most money will likely be the best. This is the most fundamental issue. Budget caps are problematic to police, and would hamper new manufacturer involvement, who might need to overspend just to catch up. ... particularly if this is done in conjunction with a more equitable share out of the pot. ... perhaps also in conjunction with a return to 'free to air' broadcasting, to dramatically increase eyeballs for potential sponsors, both for the teams and the series itself. The latter (sponsorship) would certainly benefit from removing blue flags, as there would be a greater spread of 'action coverage' regardless of the ranking of a team, thus making the lower ranked teams more viable for sponsorship. The point to consider here (from the above suggestions), is that the thinking should be 'joined up'. Instead of hopeful individual tweaks, the requirement is that the combined changes have a far greater effect than the value of the individual changes. ... and that 'greater effect' should be to grow the sport in the core regions that form the sport; with additional regions wanting to be involved for 'those reasons', over the need to simply project a 'travel destination' for a few years (the life of the publicity project) rather than developing an ongoing interest in the sport (if that is even possible). At the moment, the countries that built the sport, are seeing their crown jewels being removed, and relocated where they aren't even appreciated. BTW what time is it? "Redesign the pit layout so that instead of losing 25 seconds per pitstop you only lose 2 seconds. Drivers could then pit and come out behind opponents on new tyres and really race, instead of all crawling round to preserve tyres." "How is driving 1 of the world's 20 best racing cars not fun? " "Perhaps an enforced 2 or 3 stop would assist the issue, teams have to make the required number of stops in each race with each stop coming in a 10 lap window?" "the GPDA is the equivalent of a vampire wearing those fake gummy sweet teeth........"